Despite the natural majestic beauty that trees lend to a property, there are a number of situations which call for professionally performed tree removal in Boston, MA. These include everything from wanting to make way for new Boston landscaping features to responding to the development of deeply harmful diseases, pest infestations, or dangerous directions of growth even to the need for sudden, emergency tree removal Boston, MA services after damage from high winds, strong precipitation, or other natural conditions. Whatever the particular circumstances at your home, when you’re in need of tree removal in Boston, MA, you’re in need of professional arborists you can count on to have the training, experience, and commitment to quality that you’ll find right here at Chop Chop Tree. 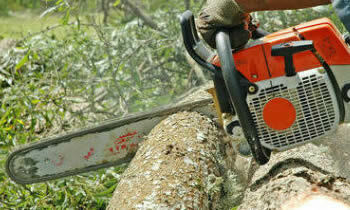 Why Choose Chop Chop Tree for Tree Removal in Boston, MA? Tree removal in Boston, MA is a highly specialized service which demands the expertise, professionalism, immediacy, and skill that we at Chop Chop Tree insist on in all of our professional arborists. This means that when you get in touch with our local Boston tree removal specialists about your particular needs you can count on safe, dependable service solutions which are delivered with the efficiency, professionalism, and expertise you deserve whether you’re seeking Boston tree removal services over matters of aesthetics, comfort, or safety. If you’re concerned about the health, safety, or growth of your home’s trees then quickly getting in touch with specialized Boston tree removal contractors can mean the difference between a swift return to comfort, beauty, and safety or a number of costly and dangerous conditions. Take a moment today to get in touch with our friendly and knowledgeable local Boston tree removal representatives by calling (617) 401-9282. You’ll be able to discuss your specific service needs with experienced, certified arborists and can even schedule a free at-home assessment and estimate to perform the precise Boston tree removal services you need with no obligation to hire. The information is completely free and the benefits of the service could be priceless.